Becton Dickinson LSR Optical Flow Cytometer Multicolor Assay w/ Laser + Filters . New Life Scientific, Inc. The BD LSR was tested to power on only, because the PC and exclusive software card were not acquired. The fans spin, the interface buttons respond, but this flow cytometer cannot be tested properly or utilized without the PC workstation. The customer will need to provide or purchase the correct software card, before this product can be used. 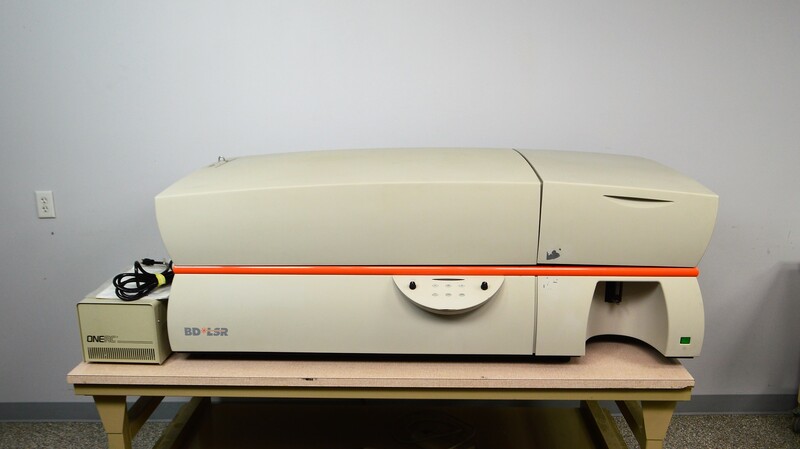 This listing includes the LSR cytometer and OneAC power conditioner only. The cytometer is in good cosmetic condition and all parts appear to be intact. The only required system component that hinders this product from application appears to be the missing PC workstation and consumables. NLS cannot provide the required software and recommends the customer check PC and software compatibility or pricing from the manufacturer, prior to purchase.